Mr. Gordon Ross in the following excerpt of his thesis, ''The Historiographical Debate on the Charges of Anti-Semitism Made Against Lionel Groulx'', (M.A. Thesis History, University of Ottawa, 1996, 141p), also deals with a few of the topics which I examined in my essays. Here is the excerpt as it appears in the Marianopolis college web site (Full link below). P.S. Contrary to the information below, I hold a PH.D. in French Literature and not in Communications. Victor Teboul, graduate of McGill University, received his doctorate in Communications from the Université de Montréal in 1981. He has been a teacher and worked for Radio Québec and Radio Canada and founded a journal, Jonathan, in 1981. 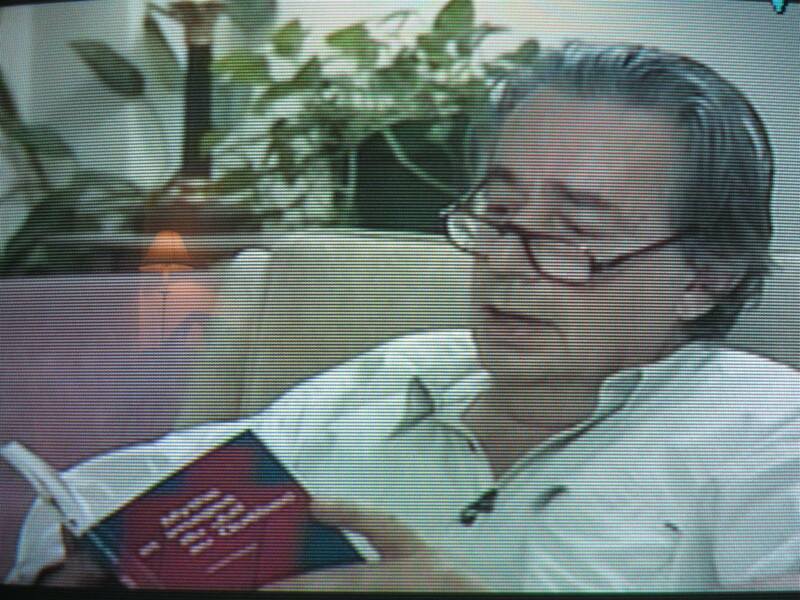 His Mythe et images du juif au Québec is a book of essays that was published in 1977. 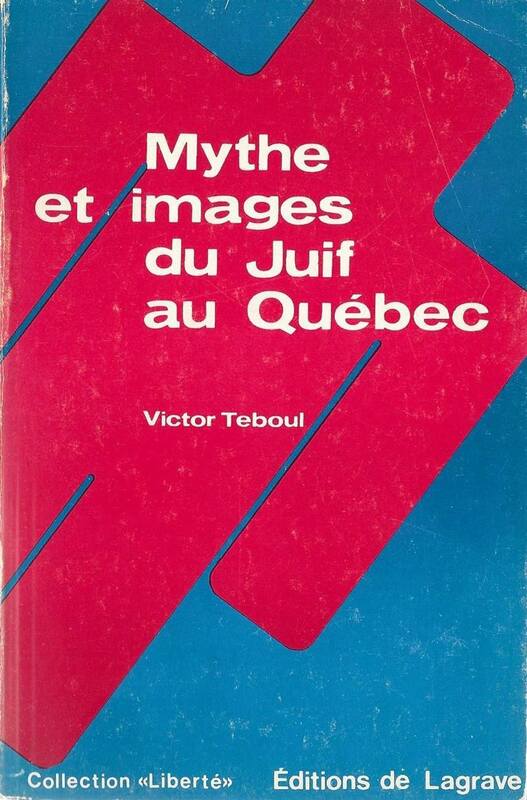 In it Victor Teboul studies the portrayal of Jews in Québecois literature. This is part of a trend to study social and historical problems in a new light. Instead of leaving the field to historians, other interested parties rushed in to shed light on the anti-Semitic past in Quebec. His essay "L'Antisémitisme Québécois: Essai de définition" analyses the anti-Semitism that manifested itself between 1920 and 1940, focusing on L'Action française, L'Action nationale, les Cahiers des Dix, Le Devoir and others. It was the fear of the "immigrants déracinés" who could upset the 'cohésion nationale' that drove Groulx and the fear that the Anglais would use immigration to destroy the French Canadian nation. Jews, says Teboul were thought to be rootless, stateless and therefore not assimilatable. After several examples of anti-Semitic references found in works by famous Quebec authors, (Gabrielle Roy, Roch Carrier),Teboul brings us to an infamous letter from the bishop of Linz, Austria published in Groulx's L'Action nationale in 1933. This letter appears in most works on anti-Semitism in Québec and is seen as the low point in the dark ages that were the 1930's in that province. But, he notes, "On sait, par exemple, que l'abbé Groulx a toujours nié l'accusation de racisme portée contre lui par Mason Wade." (59) It obviously hurt the abbé deeply, what Mason Wade wrote. Despite the general criticism and purposeful shunning of Wade's work by much of French Quebec's academic community, the accusations stung. The Abbé did not really believe in biological races, he merely reflected the way of thinking current in the early 20th century Quebec, says Teboul, echoing Gaboury. But Teboul is not an apologist for Groulx. He immediately produces in full a 1954 letter to a M. Lamoureux in which Groulx made clear that his anti-Semitism was real. (60) "Outre le thème du Juif déraciné et inassimilable, s'ajoutent ceux qui en sont les dérivés: le Juif perturbateur de l'ordre social...il brise l'intégrité du groupe, et le Juif corrupteur de l'ordre moral parce que ses penchants de matérialiste."etc. (61) In his letter Groulx shows the perception of French Canadians as "une entité modeste et fragile face à la menace incarnée par le Juif." (62) He still believed that the Jew was all powerful, an international titan who caused revolutions, corrupted morals, and lusted for money. The letter, which is the only example given by Teboul of Groulx's own anti-Semitic writings, united the rational and emotional elements of anti-Semitism, the conscious and unconscious phobias put on the Jews by the anti-Semite. Groulx's attitude was by no means isolated. "Elle se rattache à une droite cléricale, nationaliste et agissante qui, dans le première moitié du vingtième siècle, se perçoit comme le défenseur des droits des francophones et comme la gardienne de l'ordre moral." (63) It was a movement inspired by the thinking of Charles Maurras and his Action française (64) "la haine du Juif constitue un des principaux chevaux de bataille de L'Action française que dirige au Québec l'abbé Lionel Groulx." (65) Mason Wade is the main source of the background information on Groulx for this section. If Jeune-Canada and Groulx's journals were marginal at that time, says Teboul, their anti-Semitism was not. Not marginal but an accepted part of the times. (66) Stereotypes were found in magazines, newspaper , "dans les oeuvres de Robert Rumilly...C'est dans cette lignée cléricale que s'inscrit l'antisémitisme de Lionel Groulx.." (67) The clerics and nationalists of the right had no conception of the world of commerce nor did they understand economics and so they attacked wherever they could find scapegoats for the problems of French Canadians. The Achat chez nous campaign being the most obvious example. Jews were not treated violently, as in other places at that time, they were rarely confronted. They represented something almost mythological, an unseen enemy, a bogeyman. Victor Teboul put Groulx into a kind of context. One can see how the influence of the revisionists has been felt down the line. The 1954 letter, though, is all that is necessary for Teboul to use to portray Groulx's anti-Semitic inclinations. It is the most damning of all, particularly in its timing, coming after most nationalists had turned their backs on such talk and after the revelations of the holocaust had sickened the world. Groulx's damaging anti-Semitic work was not just in passing his ideas on to the youth of his province. It was in the, (?) to Teboul, ongoing presence of anti-Semitic characters in the culture of Quebec. In books and plays these Jewish characters appear as stock stereotypes with no depth or humanity. It is a legacy of a time when the church and spokesmen like Groulx wrote their own characterisations, or at the very least, did not criticise those who did. It carries over into future generations and is not even recognised by critics nor the public. This is the great damage, to have normalised anti-Semitism, to have made it acceptable. (56) From the cover of Le Jour: Émergence du libéralisme moderne au Québec. Victor Teboul, 1984. (57) Victor Teboul. Mythes et images du juif. p152.